One small step for man, one giant leap for advertising. In October of 2015, Japanese company Otsuka will send a titanium can of their beverage Pocari Sweat to the moon. There’s a little more to it than simply dumping a can on the lunar surface, though. Perhaps to temper the bad taste this campaign may leave in many mouths, the company is creating a time capsule that looks like one of their cans. This canister contains messages from kids all over Asia, engraved onto small metal disks that fit inside the container. According to Otsuka, the package “contains the children’s dreams.” Their tiny, tiny dreams. 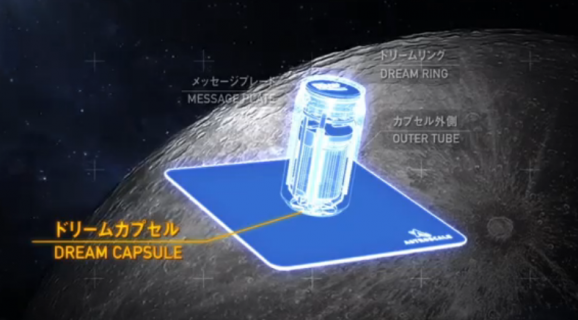 They’re even calling it the Dream Capsule. Oh, and of course there’s also a powdered form of Pocari Sweat. The company is currently producing a prototype, which will likley lead to a couple more versions before they land on the perfect design for the final flight model. The engineering and design of the capsule will take some doing. Not only are they going into space, they plan to wait 30 years before opening it, so they have to be sure that the top is moon creature-proof. I’ll give you three guesses as to who is going to transport this capsule to the moon. Yep, SpaceX. Who else would get in on a deal like this? They’re the first private company to have a moon landing in the works, and they’ve got the Falcon 9 rocket, which continues to prove its mettle by making successful cargo runs to the ISS. The Dream Capsule mission will be the first trip to the moon for Falcon 9, and it will take just over four days to arrive. 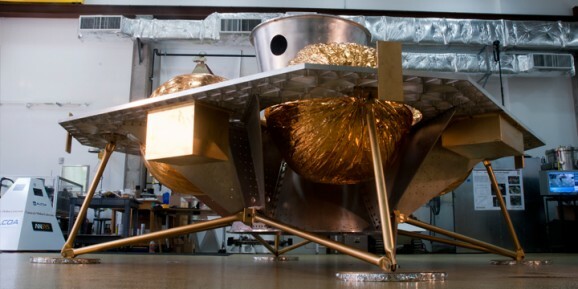 Then, the Griffin Lander, manufactured by Astrobotic Technology, will deliver the payload. If all of this happens according to plan, Astrobotic will likely nab the $20 million Google Lunar X Prize for the first private device to land on the moon, travel 500 meters on the surface, and send pictures back to Earth. 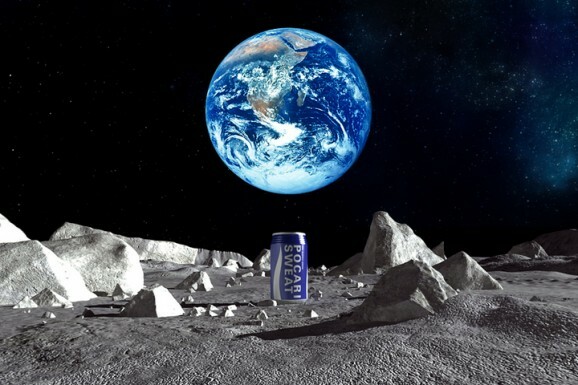 Otsuka says that despite Tang’s popularity with NASA, there’s no confirmation that it was ever consumed on the moon’s surface, which would make Pocari Sweat the first commercial beverage to earn that distinction. If this stunt is successful, it will almost certainly usher in an era of space advertising. Companies will blast their products into space for various projects to gain exposure for their brands. Maybe space shuttles and stations will start bearing company emblems, or perhaps be renamed after major corporations, like sports arenas. One thing that’s for certain, regardless of where in the cosmos it goes, I will never drink something called Pocari Sweat.